Both coasts of Mexico offer visitors world-class scenery, hotels and activities, but west and east aren’t created equal. The Pacific coast boasts striking cliffs and a laid-back feel, while the Caribbean side is well known for white sand, aqua waters and a spring break vibe. Each offers a unique twist to a Mexican vacation, but how do you know which is best for you? Here are some ideas to help plan your next south of the border sojourn. Tequila is readily found in every corner of Mexico, but if you’re looking for more than your standard bottle of Jose Cuervo, consider a visit to Casa Kimberly in Puerto Vallarta on the Pacific coast. Set in the former hideaway of Elizabeth Taylor and Richard Burton, the Iguana Tequila Bar features some of the country’s swankiest spirits. A resident tequila and mezcal expert is on hand to guide both tequila lovers and neophytes through the top-flight offerings, most locally made in the nearby Jalisco region. Whether you prefer a cheap rubdown in a beachfront bungalow or a luxury experience complete with fluffy robes and champagne, Mexico has got you covered. For the latter, head east to the opulent Gem Spa at the Grand Fiesta Americana Coral Beach Resort and Spa in Cancun, where Thailand-trained masseurs work out stubborn kinks using precious jewels such as jade and obsidian, and even gold powder and diamond dust. There’s also a luxurious water circuit complete with steamy saunas and cold showers set amidst the sleek 40,000 square-foot space. At the northern end of the Pacific’s Riviera Nayarit is the peaceful locale of Punta Mita, where dramatic rocky cliffs plunge into white sand beaches below. Long known by surfers as a destination rife with perfect waves, it’s also a top tier destination for golf lovers. But the Caribbean side's got you covered, too. There are two Jack Nicklaus-designed courses at the Fairmont Mayakoba, one with a hole set on its very own volcanic islet—the world’s only green placed on a naturally occurring island. There’s definitely a time and place for 50-cent carnitas tacos from one of Mexico’s ubiquitous street stalls, but the country also offers gourmet fare worthy of Paris or New York’s finest tables. Overlooking the aqua coastline of the Caribbean along the Riviera Maya, the restaurants at the Fairmont Mayakoba are one such option. Offering Mexican, Asian and Latin fusion-inspired menus created by celebrity chef Richard Sandoval, bon vivants will find that seafood reigns on the carte du jour, which features dishes like Yucatan grilled octopus or San Blas jumbo shrimp. Further south along Tulum's boho-chic beach road at Hartwood, NYC transplant and chef Eric Warner turns local Mayan ingredients into culinary masterpieces with little more than a wood-burning grill. Move over Luis Barragán—as evidenced by Fernando Romero’s glittering, space-age Museo Soumaya in Mexico City, a new age of modernist architects is changing the contemporary Mexican landscape. A great example is the Miguel Ángel Aragonés-designed hotel Mar Adentro in San José del Cabo at the southern tip of the Baja Peninsula. The ultra-minimalist complex features sleek, whitewashed cubes meant to resemble islands floating over glittering lagoons, and there’s a cool sunken restaurant covered with a woven, cocoon-like structure. 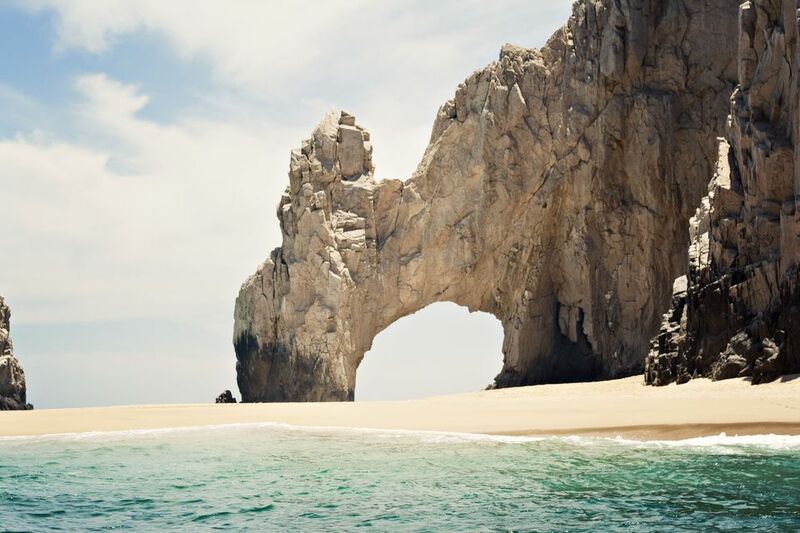 With nearly 6,000 miles of coastline to its name, Mexico is a beach lover’s dream. Although both coasts have spectacular sandy stretches, it’s the Caribbean side of Mexico that features the Instagram-perfect palm tree, white sand and turquoise water combination. Often paired with rugged backdrops, Pacific coast beaches range from white to gold to black, and while tranquility can be found in some places, this coast is often known wilder waves, making the western shoreline a true surfers’ paradise. The highest concentration of all-inclusive resorts in Mexico can be found in the state of Quintana Roo lining the Caribbean. It’s here you’ll find such famed locales as Cancun, Cozumel and Playa del Carmen, all packed with resorts offering a stream of never ending margaritas. Choices range from budget to high-end, it’s not uncommon to have a resort offering dozens of restaurants and bars ranging from simple poolside snack shacks to lavish dining spectacles featuring Michelin starred chefs.